Automation software is powerful, convenient and can perform complicated, multi-step processes in the blink of an eye. As a result, automation technology is quietly sweeping the globe, becoming more than a trend as it slowly works its way into our daily lives. With office automation, you save time and energy by automating certain office tasks with the help of applications—no coding necessary. It is possible to link two, or sometimes more, applications together to build your own workflow, and you can also transfer information between your frequently used applications. 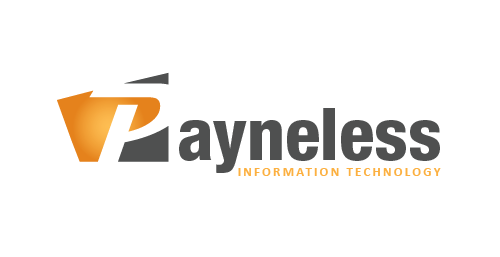 At Payneless IT we’ve adopted Arie Meisel and Nick Sonnenberg’s philosophy of Optimise, Automate and Outsource business processes. Through the use of automation tools we can now take optimised business processes and automate them to reduce labour intensive repetitive tasks, saving costs and reducing downtime. These tools can be used for most repetitive business processes such as customer or staff onboarding, follow up communication or any process when the same manual data is required. This is fantastic for industries such as Real Estate, Medical and Dental, where a lot of staff’s time is repeating the same data entry tasks that can be automated allowing staff to focus on more important work. Client Onboarding Process – New client documentation can be sent, completed and submitted by the client. The populated fields completed by the client can set up a billing account, add them to your mailing list, create a shared folder with permissions to the relevant staff, automate a welcome email and automate follow up emails for the next 6 weeks as the onboarding process completed all without any interaction from you or staff. Staff Induction Process – Staff onboarding, induction and training can be very labour intensive with cumbersome data entry. Imagine new staff completing their employment contract and the populated fields automatically creating an employee in payroll, creating their email address, their on-premise user account, setting up their permissions and automating the training process via digital training assets. Tenant or Landlord Follow Up – Tennant may have requested repairs or works to be completed, with a single form filled, automatically timed follow up emails can be sent with customised information populated from the previously filled form to ensure the tenant or landlord receives follow up on works without needing to create calendar entries and manually writing emails. Tasks can be created from calendar entries, forms, emails any form of digital communication or asset. These are just some of the many possibilities that office automation has to offer. This amazing technology allows you to save time, energy and resources with very little effort. We work with business process specialists to optimise your processes then we build in our automation tools and reduce costs, labour hours and human errors.